We find out the necessary steps to progress upwards from a regional audit role to national CFO. Chris Sheedy examines the issue of phoenixing and how new laws will tackle it. Recent research supports the idea that this one action could vastly improve staff performance. 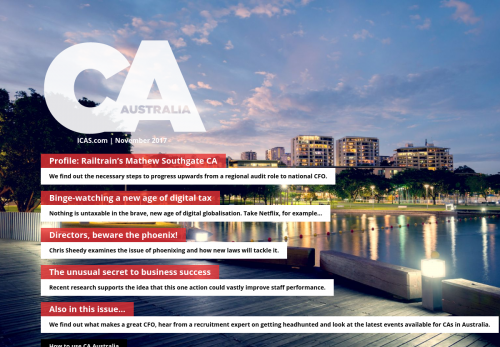 We find out what makes a great CFO, hear from a recruitment expert on getting headhunted and look at the latest events available for CAs in Australia.